GroupLink » Enterprise News: Which Microsoft Internet Browser Holds The Number One Spot? Enterprise News: Which Microsoft Internet Browser Holds The Number One Spot? Last month, we talked a little about one of the many new products and software from Microsoft, Windows 10. In more recent enterprise news, it has been determined that Internet Explorer 11 is the most used browser in the world. The usage of Internet Explorer 11 improved a great deal in October, and people are certainly noticing. The Microsoft in-house browser has been increasing its pace in the browser race behind the other popular browsers, Mozilla Firefox and Google Chrome. Internet Explorer 8 was previously the owner of the browser baton, but Internet Explorer 11 now holds it. 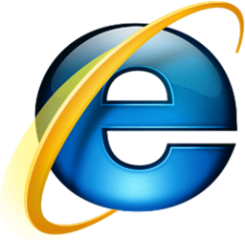 Although the default browser on the Windows 7 operating system is Internet Explorer 8, it is no longer the favorite Internet Explorer software version. The IE 8 version now has a share of 17.31%, down from 22.2% in September. Internet Explorer 11 saw a major increase in its numbers. The browser now has a 24.05% share, up from the 17.13% it had. The other IE browser, Internet Explorer 9, saw a slight drop in percentage. 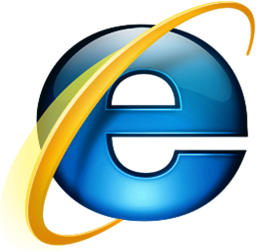 Internet Explorer 10 saw its share percentage rise slightly. Internet Explorer 11 is set as the default browser for users who have Windows 8.1. Those who are using Windows 7 have the option of installing Windows 11. Windows 7 and Windows 8.1 are still growing in popularity and usage. As a result, Microsoft is seeing Internet Explorer 11 growing in usage, development, and popularity as the months go on. At one point it looked as if some of Microsoft’s older, modern software were not doing so well. However, things are really starting to turn around and are improving. Although Internet Explorer 11 is doing well and has jumped to the number one browser spot, Microsoft plans to release another browser version soon. This IE browser version could be seen as early as spring 2015, when Windows 10 is set to be released. New changes and updates are constantly being brought out in this fast paced technology world. Businesses want to stay alert and stay familiar with the new technology, but they may also need a little assistance in keeping up with everything. There are some applications that will allow you to have access to all of your customer relationship management data on a web browser, and you may even want to use a certain browser to access your help desk or customer service tasks. You want to be prepared for the changes so you can know what the best browser will be for your business. Contact us if you need information or assistance in handling help desk and customer relationship management.